A brain injury is a life-changing event that has a number of consequences for the injured person. If another party is responsible for the injury, a New York brain injury lawyer can help hold that party responsible and collect benefits on your behalf. The statute of limitations for (non-medical) personal injury cases in New York is three years, so speed is important when finding a New York brain injury lawyer that ensures you will have ample time to organize your case. In the event of medical error, you will only have two and a half years to file a medical malpractice case, although the statute begins only when the injury is discovered. What should I bring when meeting with the New York brain injury lawyer? You can only sue for damages if you have sustained actual brain injuries. When meeting with a New York brain injury lawyer, ensure that you bring medical documentation of the accident or injury that caused brain damage. If applicable, bring police reports if the authorities were involved. This will help to define the amount of negligence for each party in the accident lawsuit. 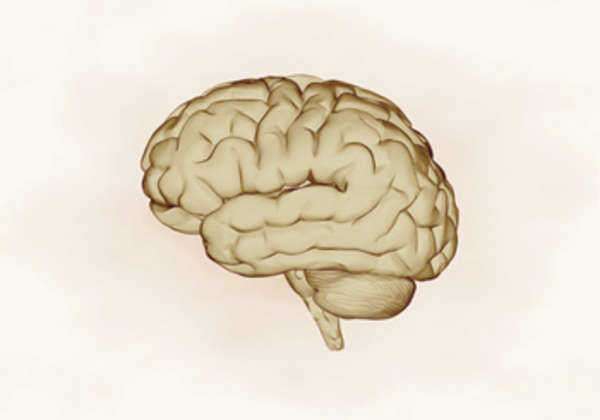 What damages can I recover with the aid of a New York brain injury lawyer? o	These are damages for pain and suffering as a result of the injuries. This represents harm to both the individual and the individual’s family. o	These are direct damages to the economic welfare of the injured person and represents medical expenses, lost wages, and other potential income lost by way of the brain injury. o	The courts may decide to punish excessive negligence or disregard for the welfare of the injured through punitive damages on the defendants. These damages make an example of the defendants and represent particularly egregious violations in the standard of care or duty. How do I know my New York brain injury lawyer is legitimate? You should check with your local and state bar association for assistance in finding a legitimate New York brain injury lawyer. The New York State Bar Association is the state bar association for New York and maintains standards of professionalism and ethics for its members. Membership in this association is not mandatory and many New York brain injury lawyers will be members of at least local bar associations. This is especially the case in New York City where many lawyers are active members of the New York City Bar Association. The New York State Bar Association maintains a low cost lawyer referral service that will even waive the typical referral fee of $35 for injury cases, reflecting the likely contingency arrangement. New York City will have its own referral service – the Legal Referral Service, which has rates comparable to the state service. These services refer individuals to a number of lawyers in different legal professions and the fees may be waived for brain injury cases. These services also provide information, in case the issue the client has can be resolved through non-lawyer means. All lawyers participating in these referral services are vetted by their experience working with clients, winning settlements, and experience in their field. If there is any negligence on the part of the injured person, the award received can be reduced by a percentage of that person’s negligence in causing the injury. This is called comparative negligence and under state law, a liable party can be less liable for injuries due to the actions of the injured person. There may also be multiple parties that share the liability. As long as the liability of the injured person does not exceed that of the other parties, the injured person or relatives of the injured person are entitled to collect damages. What are the limits on what a New York brain Injury lawyer may charge? Also, keep in mind that claims over $250,000 will be paid in installments no longer than ten years from the award. This represents a debt that must be paid by the liable party and this debt cannot be discharged. With this in mind, a NY injury lawyer that works on contingency is the best option for your case. Contingency arrangements minimize the costs to the clients and often will cost the client very little if the case is lost. Many lawyer referral services will also allow for free consultations for personal injury cases. While even in contingency arrangements, there are court and other fees to be paid. A contingency arrangement is preferable to a retainer arrangement, especially if your case will take a while to be resolved. Many injury cases can last a significant amount of time depending on if the other party intends to dispute your claim. You will want a contingency agreement, which will help you avoid costly hourly fees or an uncontrollable retainer account. Depending on the arrangement, the NY injury lawyer will have a greater incentive to end the case quickly, yet maximize the damages paid so the contingency fee will be higher. This will eliminate the potential punitive damages that would be imposed on the liable party. You and your lawyer should come to an understanding of how the case will proceed so you both can enter settlement with an agenda and common goals. Take advantage of free consultations when they are available to discuss potential fees and payment arrangements with New York lawyers. You may be able to arrange low cost and extended payment for legal services at the discretion of the attorney or law firm. What are questions to ask New York injury lawyer? Are you an active member, in good standing, of the New York State Bar Association? Have there been recent developments in tort reform that will place limitations on my case? Can you estimate the percentage of my negligent actions will affect the damages collected in this case? Do you believe we should accept a settlement, or should we go to trial?